Ever now and then monotony hits my ego and moves me to talk about something else, so past this mention the Paris Motor Show will not be involved in this bit of news. 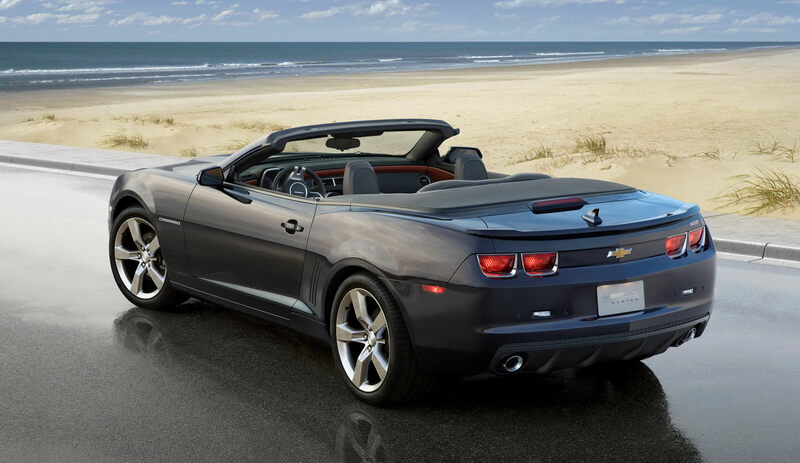 This particular bit of news is related to the official announcement of the public offering from the Chevrolet Camaro Convertible with a 2011 model year. This particular launch is related to the premiere that took place in Los Angeles, the same one that revealed more than some shots of the modern muscle car with a roof cut off. The actual debut of the car will be taking place in Los Angeles only it’ll be at the same town’s International Auto Show which is set to start on November the 17th. Speaking of public appearances what you need to know is that if you’re a potential customer for the base V6 engine you can have it if you can write a check for $30.000 that doesn’t bounce. If you want more there’s going to be an SS model which will feature a 6.2 liter V8 producing 426 horsepower. A six-speed manual gearbox will come as standard and if you’re interested there’s a six-speed automatic available as an optional extra. Tempting, I know, but if your driveway is longing for it will wait until at least February 2011.